On Monday, September 16th, Sepideh Moradi, and Shokufeh Yadollahi, two Iranian Sufi women, both refused to appear in court to respond to charges resulting from protests on February 19th by Iran’s Gonabadi Sufi in northern Tehran. Their refusal was in protest of the denial of defense counsel for Sufi prisoners and the failure on the part of prison authorities to observe due process of law. Sepideh Moradi was summoned to the 15th Branch of the Revolutionary Court of Tehran by Judge Salavati on July 14, 2018. Declaring that Sufi prisoners have been denied their legal right to attorneys, she refused to appear in court. 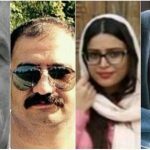 Sepideh Moradi and Shokoufeh Yadollahi are two of a total of eleven Sufi, or Dervish, women who have been detained in Qarchak (Shahr-e Ray) Prison since February of this year. The women were participants in an anti-government protest by the country’s Gonabadi Dervishes in Tehran. When suppressive forces arrived, the protest grew into a violent confrontation between the demonstrators and security forces, and a number of Sufi protesters were arrested. The women were beaten severely when they were arrested and were interrogated late into the night, verbally abused, and threatened. 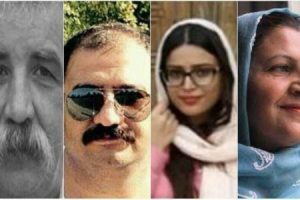 Sepideh Moradi and Shokoufeh Yadollahi went on a hunger strike beginning on Monday, June 11th, to protest their treatment by guards at the prison. Two other members of the Sufi Gonabadi Order who were arrested, Mohammad Karimaei and Sekhavat Salimi, also refused to appear in court in protest. Mohammad Karimaei, who is currently being held at the Great Tehran Penitentiary, cited the questions submitted by the Revolutionary Court as examples of inquisition. In refusing to appear in court, he declared that he is protesting his denial to legal representation and the court’s failure to comply with its own legal procedures in the handling of his case. The February 19th protest was sparked by the arrest of Nematollah Riahi, a member of the Gonabadi Dervish community, the day before. Protesters gathered in front of Police Station 102 on Pasdaran Avenue in northern Tehran to demonstrate. Clashes occurred after security forces arrived to suppress the protesters. The Dervishes said that the police provoked the violence and posted photos from the night of men with bandaged and bloodied faces from security forces. At least 300 Sufis were arrested. Another Sufi arrested during the February 19th protests, 51-year-old bus driver Mohammad Salas, was executed by the regime on June 18th after a sham trial, despite international pleas from human rights groups, including Amnesty International. Salas was tortured and coerced into a confession that he later retracted, denied a lawyer, and convicted despite evidence that he was arrested before the crime he was convicted for occurred. The persecution of religious minorities in Iran is part of the regime’s repressive measures to intimidate the public and has nothing to do with Islam. That’s why from the outset, one of the major areas, where the main opposition to the regime – the MEK– has been focusing on, has been to expose the anti-Islamic treatment of the religious minorities under the guize of Islam. Religion and State: The Iranian regime has a long history of oppressing Sufis and other religious minorities. The MEK condemns discrimination against the followers of any religion or denomination. Judicial System: The MEK believes in the rule of law and justice. A modern judicial system will be based on the principles of presumption of innocence, the right to defense, effective judicial protection and the right to be tried in a public court. Judges will have total independence. The mullahs’ Sharia law will be abolished. Human Rights: The MEK is committed to the Universal Declaration of Human Rights and international covenant and conventions, including the International Covenant on Civil and Political Rights, the Convention against Torture, and the Convention on the Elimination of all Forms of Discrimination against Women. Death Penalty: The MEK is committed to the abolition of the death penalty.